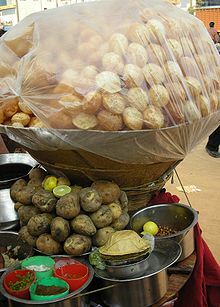 In Mumbai, the Gol Gappas, are also known as Pani Puri...and the stuffing is usually made of Channa, Chickpeas, Mutter..and is served Lukewarm & not as Ice Cold as is loved in Delhi.. It's amazing chatpatta snacks in Delhi.Thanks for sharing with us great blog. Delhis Snacks - Why we Love them ??? ?